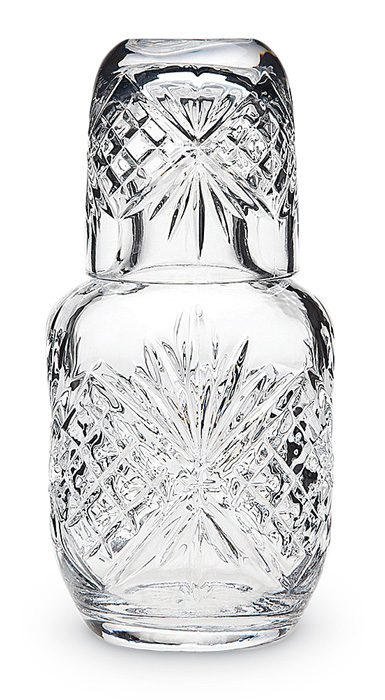 For the guest nightstand, what could be nicer than this crystal carafe with glass? The 16 oz. carafe holds enough liquid for a long evening. The 4 oz. 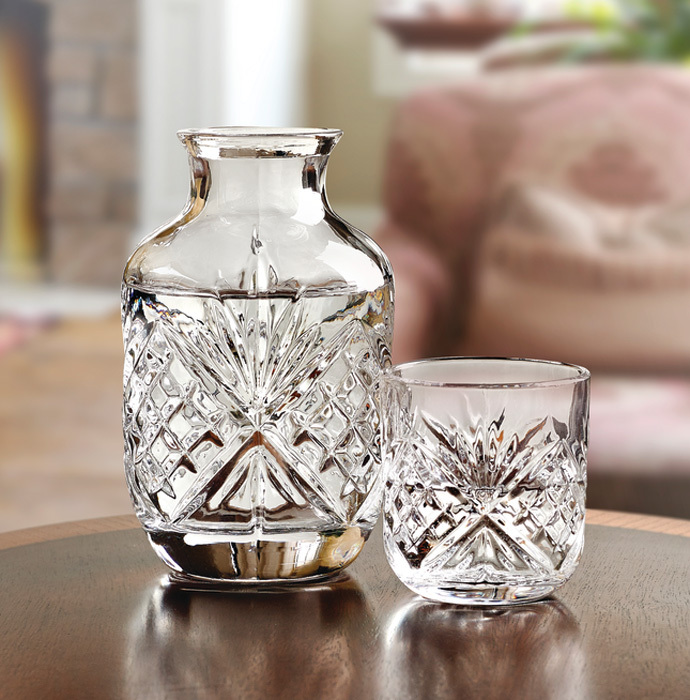 glass is just right for sipping.